We Design & Create Custom-made Puppets! Children's TV and live theatre often includes full-sized costumed characters to entertain and engage a young audience. Our custom mascot costumes are designed to capture attention and enthrall fans - whether at a sports venue, community event, or through the media of television. Pre-school programming often contains another type of children's entertainment, puppetry. Puppets have the same attention grabbing features of full-sized mascots, but the smaller size can be especially attractive to younger audiences and more intimate venues. Did you know that BAM Mascots makes custom-made puppets? BAM designers can create a custom-made puppet to act as a side-kick to your full-sized mascot, or could create a miniature of your mascot in puppet form. Coqui the Chef is an example. 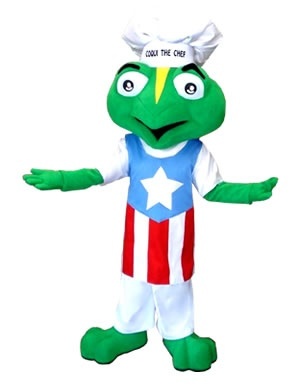 BAM Mascots created Coqui the Chef as a walk-about character for an organization teaching children about healthy food. 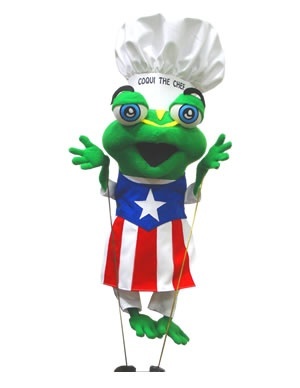 We also created a puppet version of Coqui for studio cooking classes. 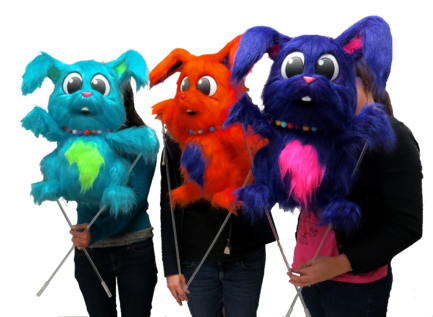 Here are some puppets we created for Niyo Park, a children's TV program featuring six multi-coloured furry rabbits, 3 full-sized mascots and 3 puppets. The show also starred a "Wise Pineapple" puppet created by our team. If you are considering a puppet as an addition to your mascot marketing or need a custom-made puppet for live performances or TV, give us a call to discuss your idea. We'd love to hear from you. While discussing your mascot with us, be sure to ask about custom illustrations. They could help enhance your mascot marketing material and launch. We can create a high resolution graphic illustration of your mascot for printing on a poster or merchandise. 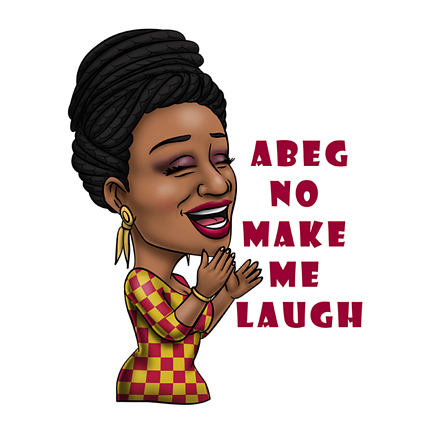 For a BAM Mascot client, iManagement, we created the illustrations used as stickers in their mobile phone App - Afro Emoji. If you have an idea that needs illustrative work, why not talk to us about it and have the BAM designers deliver a creative solution for your next project. To read more about Afro Emoji illustrations read our blog post, "Our Special Project Work Includes Custom Illustrations."